A day trip to Port Arthur is being arranged as part of Mokin Downunder and you can download detals of the itinerary here. To help with making your bookings easier this article consolidates all the accommodation details you need to know as they are made available. The dates provided are based upon the expected schedule for the majority of people attending and should be used as a guide only if you plan to customise your itinerary. The dates detailed are for the evening of the Booking, i.e. Sunday 8th means Sunday evening. 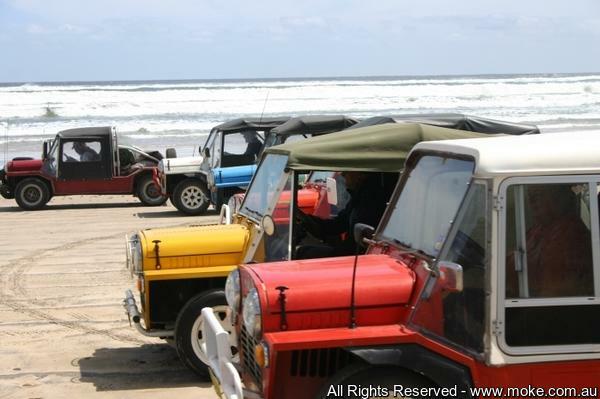 The big Moke event for 2015 will held in Tasmania during the first weeks of March with the main event being four days over the Long Weekend spent in and around Hobart with a public display at the famous Salamanca Market, short and long day trips and plenty of time for socialising and exploring Hobart. Tasmania is best served over a longer period and thus we are organising a tour in the preceding week across to Stanley and down the beautiful and rugged West Coast, departing from Devonport the weekend of the 28th. Various options will be available when it comes to accommodation and routes that we will available to places along the way. You can travel with the group or make your way along at your own pace to meet up with everyone in the evenings. And one week is not enough to see the best Tasmania has to offer therefore we encourage you to take an extra week and explore more of the Apple Isle on your own and not doubt you will meet up with others doing the same.